Miley Italian Fusion Bistro | Lunching? Try out Miley Nasi Goreng Primavera, a unique fragrant fried rice serves with boiled egg and chicken rendang. Lunching? Try out Miley Nasi Goreng Primavera, a unique fragrant fried rice serves with boiled egg and chicken rendang. Published September 14, 2015 at 640 × 640 in Lunching? 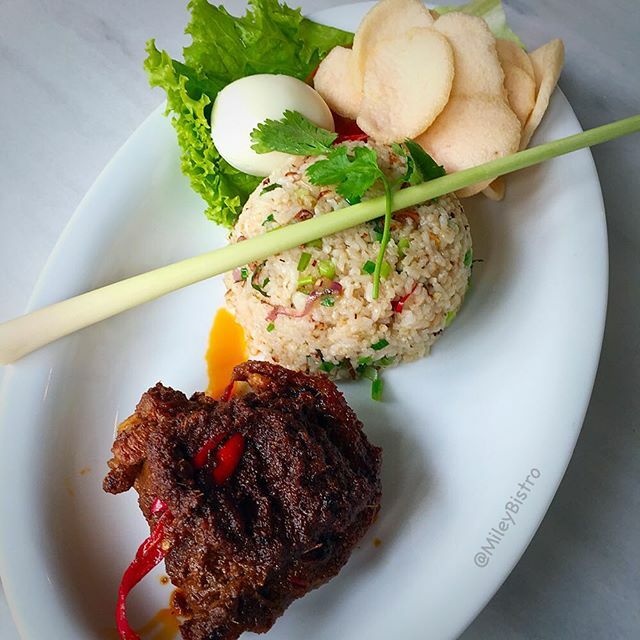 Try out Miley Nasi Goreng Primavera, a unique fragrant fried rice serves with boiled egg and chicken rendang.